One of London’s newest private members clubs, The Conduit, has been designed with sustainability and social impact in mind. Bringing together a community of entrepreneurs, innovators, investors and activists, The Conduit is one of London’s newest members clubs – but this is no ordinary club. Its members are committed to positive systematic change, with The Conduit operating robust membership criteria that asks club hopefuls to provide evidence of working in a social enterprise, combined with a means to bring promising, impactful ideas to life. 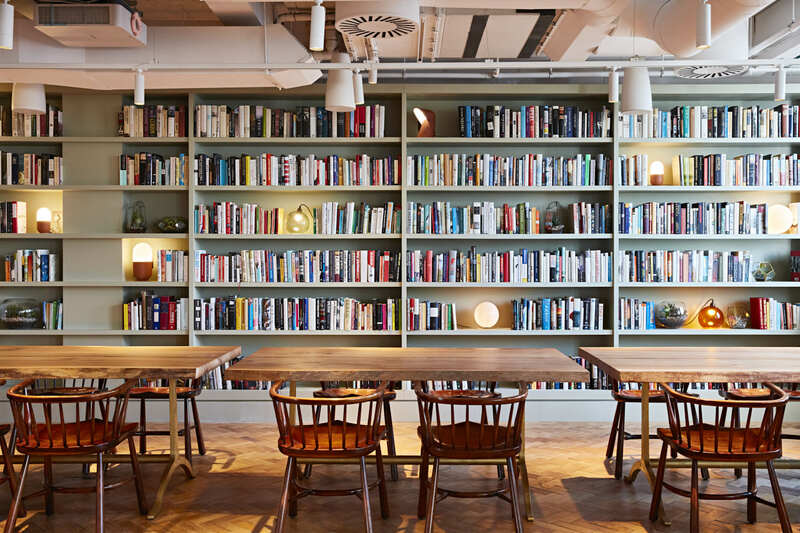 Located on Conduit Street in Mayfair, the eight floor neo-classical building has been designed to nurture creativity and innovation; it features an events floor, library, rooftop lounge, and a restaurant with a terrace. The Conduit’s interior design takes its inspiration from two distinct aesthetics; the minimalism of Scandinavia, and the vibrancy, colours and textures of Global South artisans. Behind The Conduit’s unique design concept was none other than Russell Sage Studio, the design firm renowned for its designs of some of London’s most exclusive hangouts including Neptune and the Zetter Townhouse. Also working in collaboration with Russell Sage Studio to create The Conduit’s interiors were architecture firm, Feix and Merlin, Cavendish Studios, and lighting designer Xavio Design. Russell Sage Studio relied heavily on sustainable and repurposed materials, as well as original artisanal objects, to create the club’s interiors; a collection of hand-dyed carpets, delicate ceramics and natural materials have been used throughout the building. These distinctive touches have been created by specialist artisans in the some of the most remote parts of South Africa and Swaziland, supported by social enterprises that use craft to try and promote economic independence for the artists. Sustainability is an intrinsic part of The Conduit’s ethos, which is easy to see in the building’s design; a range of innovative, eco-conscious materials, construction techniques and engineering mechanics were used throughout the project. For example, hemp – a renewable resource that reduces volatile organic compounds in the atmosphere – has been used throughout the building as an alternative to traditional plaster. 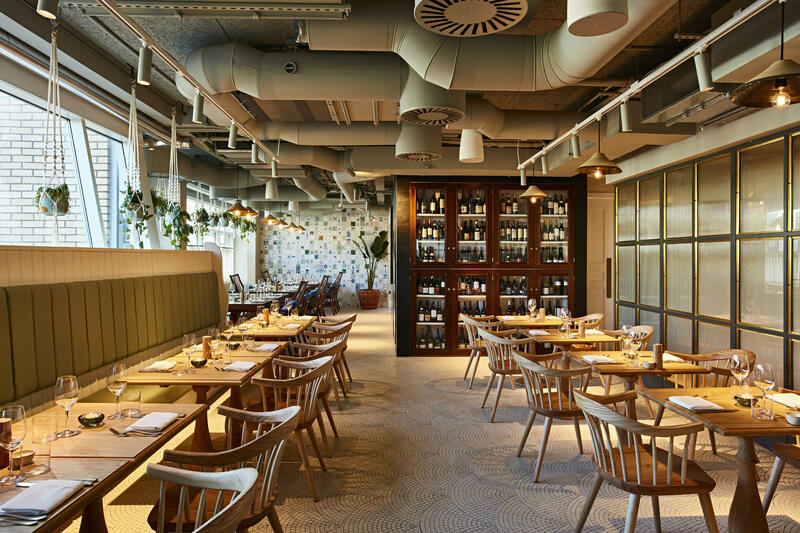 Elsewhere, the onyx used in the building’s original flooring has also been re-purposed into a bar, and The Conduit has invested in regenerative breaking lifts which produce and reuse energy, harvesting the energy from the descending lift to power it in ascent. 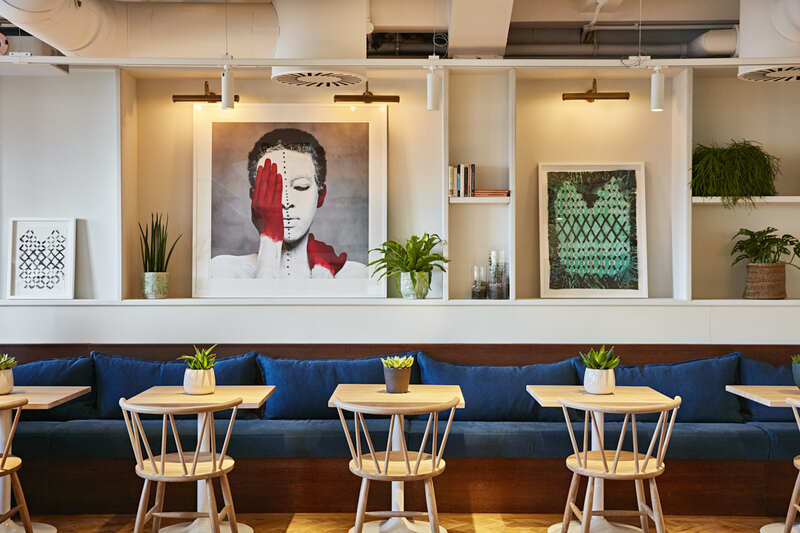 In addition, The Conduit have partnered with furniture makers that are dedicated to the responsible use of British woodlands, and a non-profit exhibition will rotate throughout the stairwell of the club, curated by the Workplace Foundation.